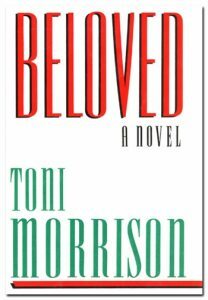 The novel is largely about the horrors of slavery. But the erosion of the self emerges as a central theme. Even after characters escape slavery, they are haunted by the effects of the violence and dehumanizing brutality. Paul D loses his ability to have any real feelings for anyone. At times he cannot even tell if cries of despair and pain are from someone else or from himself. Sethe becomes so consumed with the terror of slavery that she would rather murder her own children than allow them to return to slavery. The image of Paul D being forced to wear an iron bit in his mouth in one in which the physical image of slavery serves to shut out the voice of a human being. That the novel ends by explaining that this is not a story to be recounted suggests that even the story of slavery should be blotted from memory. Even as individual characters experience the nullification of their sense of self, the novel would balance this against the primary role of community. It is the black community in Cincinnati which operates as a form of salvation for many of the character. This is where Sethe finds solace and salvation upon her escape from slavery. Baby Suggs can operate as a key figure because she is a pillar of a community of people. She derives her strength from this community. As the lingering effects of slavery tear at individuals, the greater community makes it possible for them to emerge from this isolation. Even as Sethe is facing charges for infanticide, a community effort rescues her. The redemptive power of community is the main force in the novel. We see one of the primary evils in the book as isolation, for example, as Sethe and Beloved become cut off from other people. But it is the community which rescues Sethe, Paul D, and Denver.